"Benthe's works are, in a way, naive, which for me means that they have the purity of a heart and a strange poetry, which is unusual in the world today. In this imagery she has shown flying, sailing, driving female figures, which in their tableaus, tell the stories of essential human conditions. 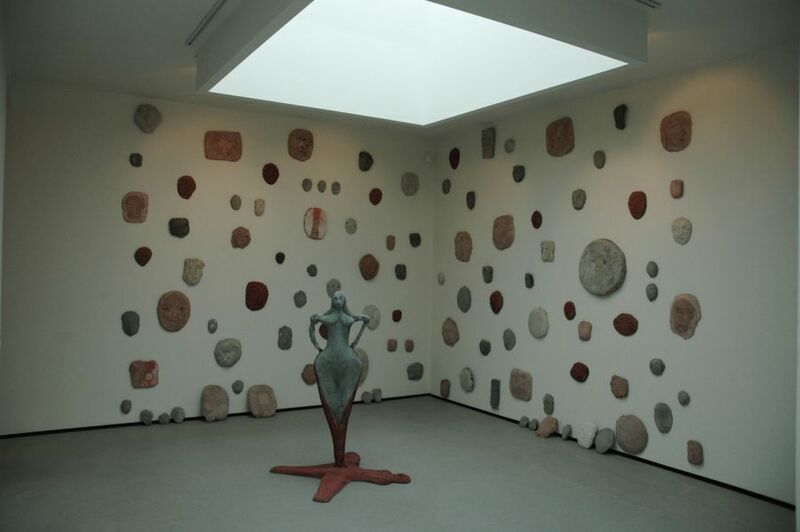 At the Vrå Exhibition in 2010, Benthe Norheim exhibited in a small room, where a female figure raised itself up as if from a shadow or a forefather or mother from the floor. The figure was created in cement, a material she favours despite its unpretentious appearance. On the walls were shown what could be called an ancestral gallery of the woman's family, personal portraits from the most devout, funny, melancholy and questioning to those who were almost exclusively depicted as a cement blob, as if they had left no trace or memory with others. It is these narratives from a familiar, but perhaps overlooked world which a quirky storyteller like Benthe Norheim highlights and enriches our world with."